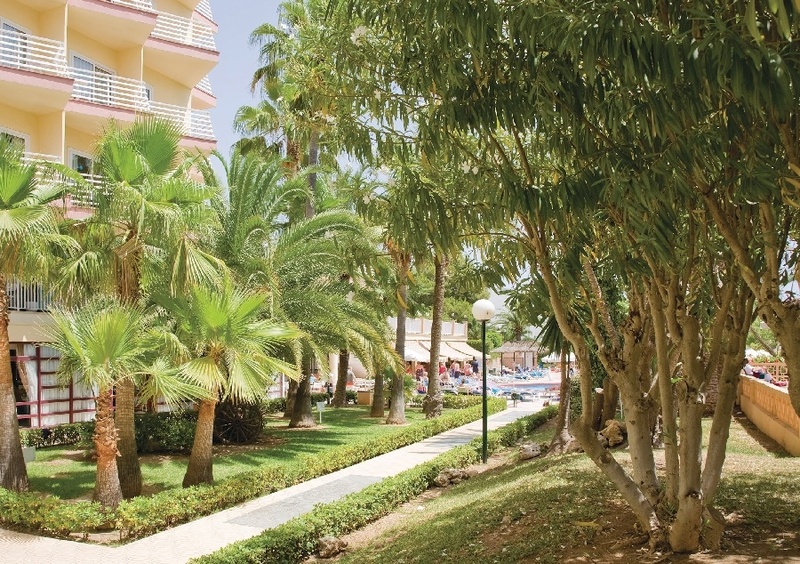 The Globales Palmanova Palace Hotel is a perfect holiday choice for those looking for a peaceful getaway in the sun as it is located in one of the quieter and more secluded areas of Palma Nova. With a variety of dining options, guests here can sample delicious dishes in the restaurant, cafe and snack bar or just relax with a cold drink in the lounge bar. All of the bedrooms at the Palmanova Palace Hotel come well equipped with a range of modern comforts and have a delightful balcony. This hotel ensures it's guests a comfortable and relaxing holiday. Located only 300 metres to the nearest beach and within a five minute walk to various shops, bars and restaurants. Palma city is 25kms away and there is a world class golf course located only 3km away. Twin room will sleep maximum 3 adults. All rooms have private bathroom with shower or bathtub and haridryer (on request), air conditioning, safety deposit box*, minibar*, telephone, satellite tv, furnished balcony. 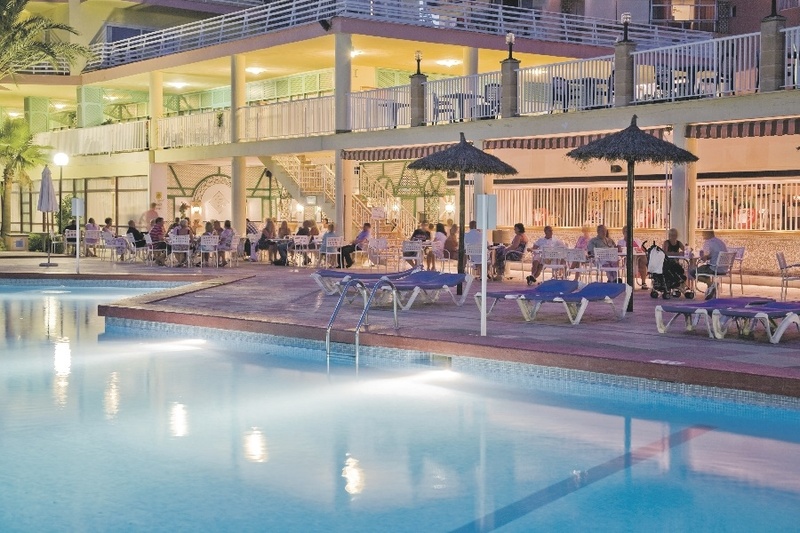 Outdoor swimming pool • sun terrace • sun loungers • buffet restaurant • a la carte restaurant • snack bar • evening entertainment programme includes dancing and occasional live music • 24 hour reception • safety deposit box • medical service • laundry service • free wifi in reception area. Board basis:Half board. All inclusive available with supplement. Cleaning, linen and towel change: available. Number of rooms : 185. Official rating: 4 star. Child age: under 12 years.